Kids' Book Review: Interview: Meet the ALNF's Photographer! Interview: Meet the ALNF's Photographer! 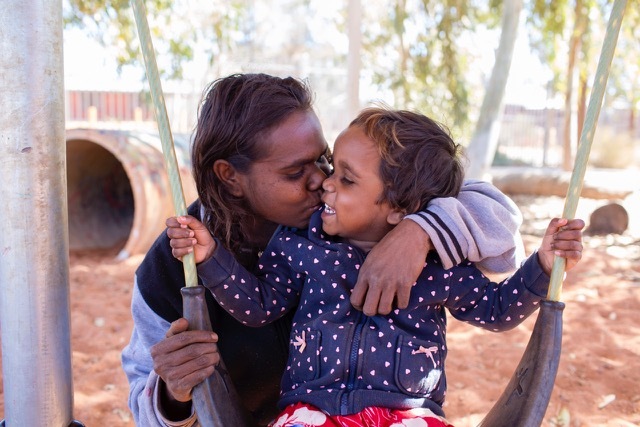 KBR is absolutely delighted to have permission to share these divine, heart-stirring photographs by Hailey Bartholomew, photographer for the Australian Literacy and Numeracy Foundation. Hailey has just returned from a journey to visit two Wall of Hands Communities. This interview was undertaken by the ALNF, and we hope it warms your hearts as much as it did ours. ALNF: You recently visited some communities where the ALNF works. Where did you go? 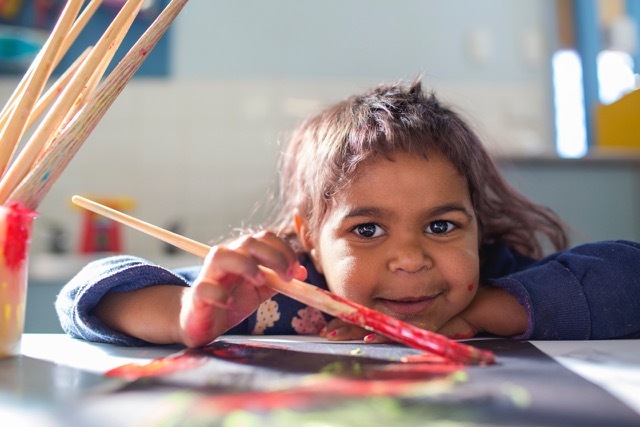 Hailey: I visited Mimili and Indulkana, two very remote communities in South Australia, to photograph the ALNF’s work with children there. It took me a day and a half to get there! ALNF: What were some of your impressions of Mimili and Indulkana? Hailey: Well, first of all, the landscapes and the light in this part of Australia are beyond amazing! The poverty in these communities really also struck me. Getting an adequate education while dealing with family issues and ill health is a big ask for these kids and their families. I found myself wishing there was more I could do to help these gorgeous children. I have photographed in the slums of India, in some very poor communities in Africa and Laos, but the struggles these families face really break my heart. I really believe in the work the ALNF is doing in Indigenous communities. ALNF: Tell us a bit about what you saw of the ALNF’s work. Hailey: The ALNF looks at the whole picture to work out how to help teachers do their jobs better and kids get the most out of school. I love that they respect the language of each community and do their best to preserve this. I noticed how enthralled the kids were to hear stories told in their language! I saw the beautiful relationships the ALNF has built with local teachers and teacher aides, and the important training offered to them. I love the way children innocently ask for what they want. I love the way Aboriginal kids throw themselves into playing and running around! From swinging super high on the swings to racing bikes over jumps – they give it their all. It was a joy to work with these kids to capture images of what they love to do. I am grateful to be involved in a small way in this amazing work. ALNF: Why do you think donating to Wall of Hands 2015 is worthwhile? Hailey: When I look at some of the problems facing Indigenous communities, I can get overwhelmed. But the important thing to remember is that if we all do something little, that turns into a big movement! 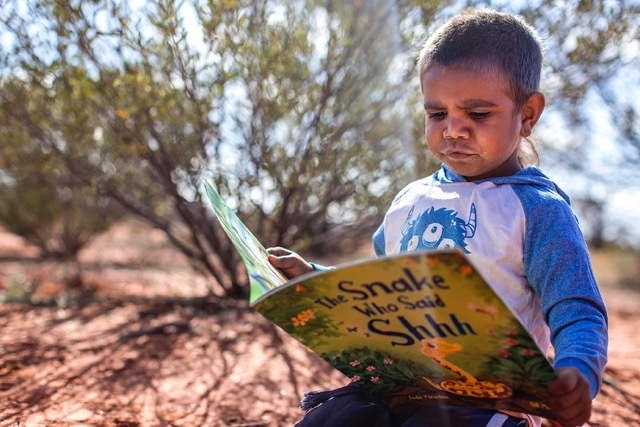 to give Indigenous kids the gift of literacy. of $500,000! Click the image below to donate. for allowing us to reproduce this material.